"One of the best novelists around, period." "Lippman has enriched literature as a whole. 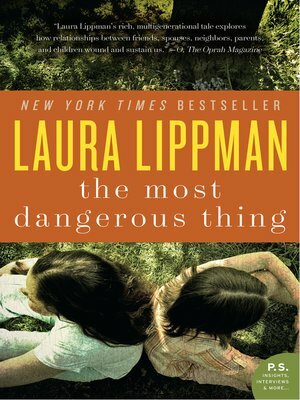 One of the most acclaimed novelists in America today, Laura Lippman has greatly expanded the boundaries of mystery fiction and psychological suspense with her Tess Monaghan p.i. series and her New York Times bestselling standalone novels (What the Dead Know, Life Sentences, I'd Know You Anywhere, etc.). With The Most Dangerous Thing, the multiple award winning author—recipient of the Anthony, Edgar®, Shamus, and Agatha Awards, to name but a few—once again demonstrates how storytelling is done to perfection. Set once again in the well-wrought environs of Lippman's beloved Baltimore, it is the shadowy tale of a group of onetime friends forced to confront a dark past they've each tried to bury following the death of one of their number. Rich in the compassion and insight into flawed human nature that has become a Lippman trademark while telling an absolutely gripping story, The Most Dangerous Thing will not be confined by genre restrictions, reaching out instead to captive a wide, diverse audience, from Harlan Coben and Kate Atkinson fans to readers of Jodi Picoult and Kathryn Stockett.